Once again Jeff journeyed to Santa Cruz for the Santa Cruz Paddlefest. 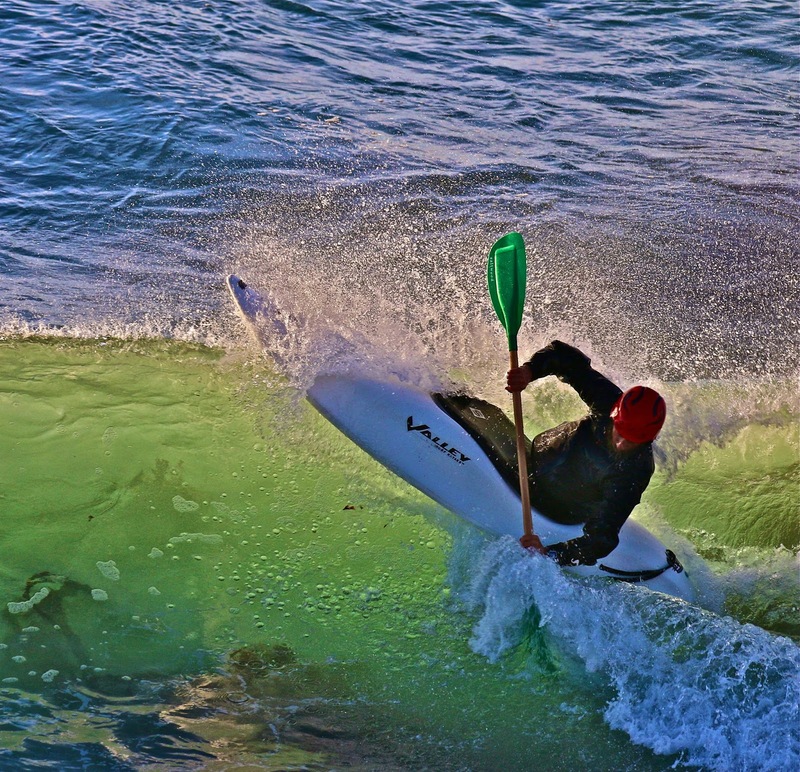 Formerly called the Santa Cruz Kayak Surf Festival, the festival is in its 29th year. Conditions were very small for the preliminary heats but things fired up for the finals on Sunday. Here's a video that Southern California Paddler Mark Sanders made of Jeff's heats. Use the link to watch it on vimeo in high definition. Definitely what we would call "chizzly" waves, but his second wave on the video looks really fun. Surf students take note - Jeff doesn't pull off any dynamic maneuvers in this video but notice his positioning on the wave, awareness, looking where he wants to go, posture, shore side rudder, and edge control. For more photos check out Santa Cruz Paddlefest on Facebook.